Strictly Come Dancing returns to BBC One this autumn with another bejewelled line-up of celebrities ready to compete for the coveted glitter ball trophy. 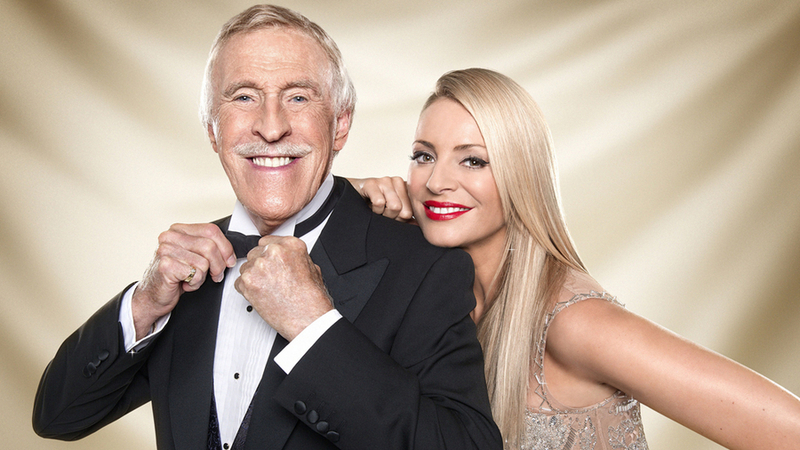 With more sparkle, sizzle and glitz, the 11th series shimmies back onto TV screens with an exclusive Strictly Come Dancing 2013 Premiere on BBC One, Saturday 7 September 2013 at 6.50pm, hosted by none other than Sir Bruce Forsyth and Tess Daly. This year, 15 celebrities will take on the challenge of perfecting the art of ballroom and Latin dancing under the tutelage of phenomenally talented professional dancers at the top of their game. This series five new professional dancers will be joining the ranks, as Anya Garnis, Iveta Lukosiute, Janette Manrara, Kevin Clifton and Aljaz Skorjanec join Strictly’s renowned dancers Ola and James Jordan, Brendan Cole, Anton du Beke, Kristina Rihanoff, Robin Windsor, Karen Hauer and Aliona Vilani. To kick off the series, events get underway with a burst of old-school Hollywood glamour, as the 15 hopefuls face the flashbulbs and adoring fans before heading to the prestigious dance floor where their professional partners will be revealed. Viewers are given front row seats from their living rooms for those first impressions of the pairings, before getting a taste of what is to come as the celebrities take to the floor and perform a group routine for the very first time. The next time we see our celebrities will be on the live shows starting in just a few weeks, when they must overcome their nerves, don their sequins and dance live to the nation in a bid impress judges Len Goodman, Craig Revel Horwood, Bruno Tonioli and Darcey Bussell. But ultimately the public will decide who shall be victorious in their journey to the final. In a first for Strictly, this year, as well as voting for their favourites by phone, viewers will be able to vote online for free via bbc.co.uk/strictly. Once again Claudia Winkleman joins Tess on Sunday evenings to present the Results Show where each couple with the lowest combined scores, from the judges and public vote, will face each other in the all-important dance off, with one couple leaving the competition for good. Strictly fans can catch all the latest backstage gossip, news and drama with presenter Zoe Ball in the weekday sister show It Takes Two over on BBC Two. And if all that wasn’t enough, this year Strictly Come Dancing returns to the world-famous Blackpool Tower Ballroom as the celebrities compete to get their chance to perform at the illustrious home of ballroom dancing during the series. It all starts here in the battle of the ballroom to see who will be crowned champion and lift the glitter ball trophy in 2013.